Eco-dive center: How to recognize them? Eco-dive center: How to recognize them? Has the ocean made of you an environmental movement defender? Are you looking for and eco-dive center to book your next dives but you have not done it before? If this is your case, probably you are asking yourself how to recognize this kind of diving shops. Go on reading! This article will help you to resolve your doubts and to know if you are in the correct place to enjoy your favorite sport in accordance with your eco-principles. There are more and more scuba divers every day. You and I understand why, don’t we? When you discover scuba diving, you realize this sport has many important values. Basically, scuba diving is about enjoying sensations and the contemplation of life under the sea. When you scuba dive, it starts a connections process with yourself, but also with the ocean, animals, and nature. This change of mind makes you more respectful with nature. As a result, you are more demanding with respect to sustainable tourism and eco-dive centers are the best option. An Eco-Dive Center Goes A Step Further In The Way Of Sustainable Diving. Marine conservation is an important part of any top notch dive center. However, an eco-dive center goes a step further, understanding their environmental commitment as an essential part of their business culture. Taking effective action for the environment into and out of the water is their distinctive feature. Basically, an eco-dive center follows sustainability principles based on the respect for people and nature all around. For that reason, their activity has a positive influence on the local environment. They offer workplaces to local people and contribute to the local economy, and at the same time, they take care about their ecological impact, giving an optimum use of the natural resources, saving energy, recycling and taking effective action for the environment. For example, collaborating with local associations committed with nature. Scuba Diving With An Eco-Dive Center, You Can Collaborate As Well. If you trust an eco- dive center to enjoy your scuba vacations, it is probable you can participate as a volunteer in some of its environmental activities. Sea bed cleanings, coral nurse transplantations and coral nurseries maintenance, are some interesting and free activities where you will be able to take action for nature as a diver. 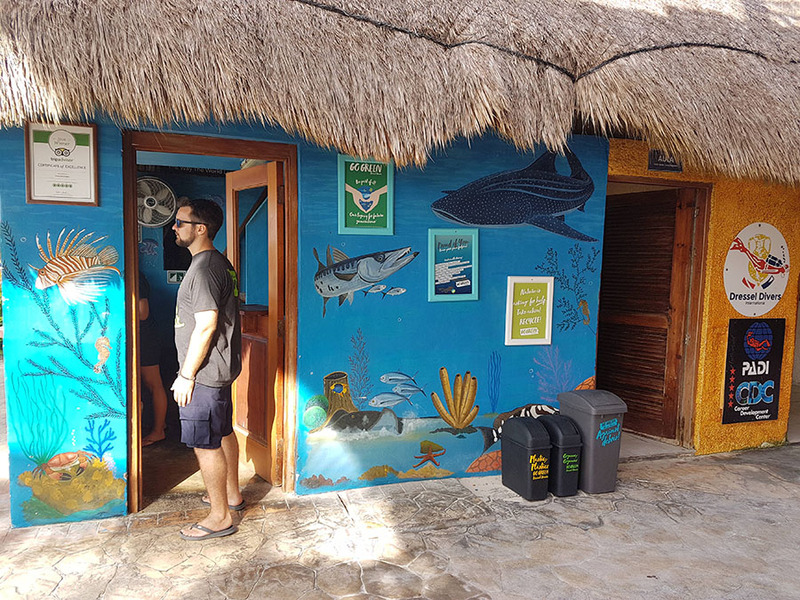 In addition, a few of these eco-dive centers contribute to mitigate their own carbon print and the one of their guests, donating part of the benefits to green initiatives or carrying them on by themselves. But that’s not all, there are other ways to collaborate, even far away from the eco-dive center. Would you like to know an example? Let’s talk about “Go Green”. This project was born to be Dressel Diver’s legacy for the future generations. In this way, Go Green encourages to our guests and friend to add to this movement online through a “Share Your Green Experience” program. 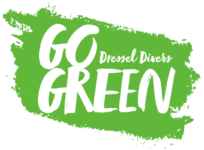 In this section of the Go Green webpages you can up load your pictures and comments with tips about sustainable diving or your daily “green” behavior to inspire others. In An Eco-Dive Center You Will Find A Good Chance To Learn Some Things of Value. To be a responsible diver is important to start in this world in a correct way, from your first steps, when you are learning. Do you remember that first time? During this period, you developed your essential scuba diving skills. You know that learning to control your buoyancy and dive gear is as important to your own safety, as to be respectful with marine life. And, you know as well that if you have forgotten these diving techniques after a while without scuba diving, in eco-dive center should offer the possibility to refresh your knowledge. 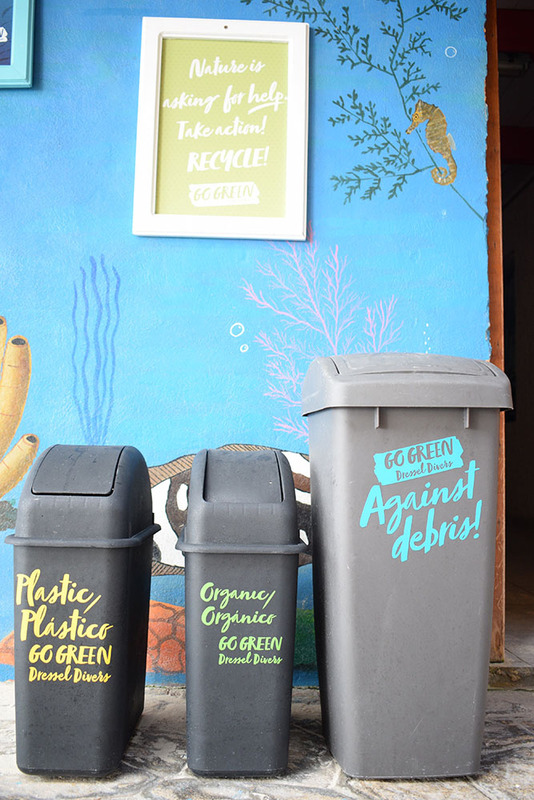 These are the basics in an eco-dive center. But you are going to learn more things. For example, in this kind of dive centers, the PADI Dive Instructors offer briefings with interesting information about the local fauna and flora. 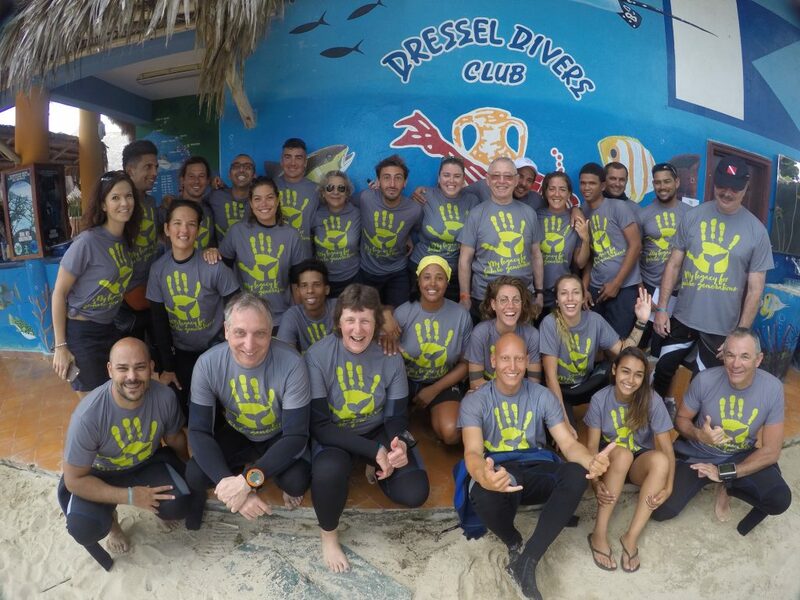 To boost awareness about the human impact on the ocean and coral reefs, eco-dive centers usually organize special workshops on scuba diving, even collaborate with scientist research, like this study about The Spawning Of Brain Coral In Bayahibe. During these activities, you will be able to scuba dive and also participate in chats and debates. A great example of these activities was the “Divers Who Care For The Ocean” event. This activity was organized by Go Green to celebrate the most recent World Oceans Day in Playa del Carmen. During this journey our guests had the opportunity to learn about coral reefs and their importance. An Eco-Dive Center Never Forget Sustainable Diving Practices. Once you’re in the water, it’s important to keep conservation in mind and to remember these 7 tips. Avoid damaging the reefs while you are diving with your buoyance skills and be conscious of your fin kicks. Do not manipulate, touch or remove anything from the water. Collect possible waste/garbage you find during the dives. Help animals that are in trouble due to human actions. Do not get too close to the animals or make them feel trapped to avoid creating unnecessary tension. You as Dressel Divers know that with the right policies in place, diving can contribute to ecosystem preservation and biodiversity. So, if you are looking for an eco-dive center in Jamaica, The Dominican Republic or Mexico, drop us a line.